Desalegn joined the Gaia Association in May 2008 as Regional Project Coordinator based in Kebribeyah refugee camp. 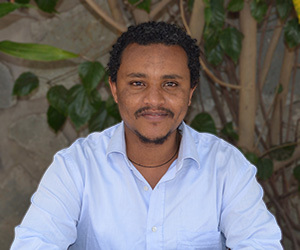 Desalegn is a graduate of Addis Ababa University in Psychology and is currently working towards his MA at the Indra Ghandi School of Social Work. Before joining Gaia, he was with the Ethiopian Labor and Social Affairs Office. Desalegn is proud to work with Gaia in its endeavor to support refugees, particularly women who bear the burden of collecting firewood and cooking with polluting fuels.